Netflix for Families features several new categories including Family Movie Night, Are We There Yet, Classics to Share with Your Kids, Quiet Time, Show Your Kids the World and TV for Curious Kids. 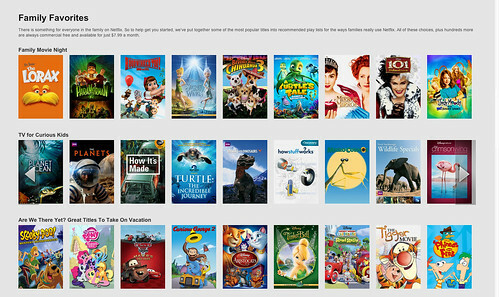 The new Netflix for Families page is available for both members and non-members! Yay! Our favorites are the Family Movie Night, Quiet Time & TV for Curious Kids categories. We love the Family Movie Night row because you can always find a great movie that the whole family will enjoy watching together. The Quiet Time row is awesome for quiet time, of course! :) I love putting these on for my younger kiddos during our afternoon quiet time. My older kiddos love the TV for Curious Kids. The love watching the Wildlife Specials & How it Works the best! I’m on the DecoArt blog today!